HE CAN sing, play the guitar and harmonise with his harmonica, and he's got the confidence to boot. 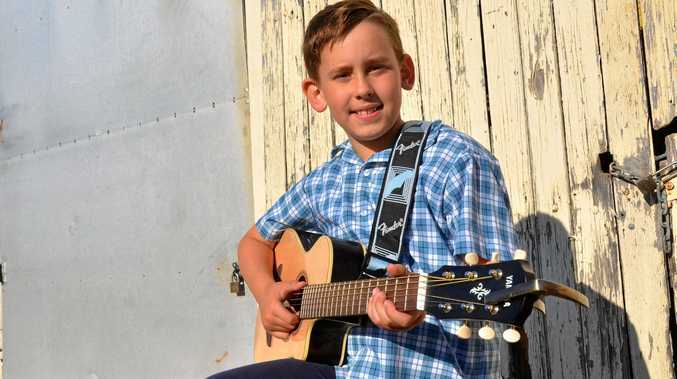 Gayndah's Noah Coulson has been practising since he received his very own guitar last Christmas, and he's ready for his first major performance at the 2018 Gympie Country Music Muster this weekend. Coached by his grandfather Dr Geoff Walden, who has been teaching music for more than 50 years, Mr Coulson is a Gympie Muster legacy. 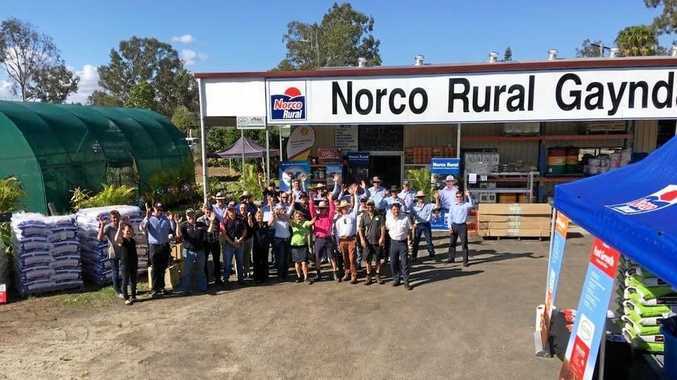 He will perform alongside a band from The Australian Institute of Country Music in two performances at this weekend's renowned country music festival, on Saturday and Sunday. "When he first mentioned that I could perform at the Muster I got really scared,” Mr Coulson said. A student at St Joseph's Catholic Primary School in Gayndah, Mr Coulson said he's had an interest in music since he can remember. "I started with singing songs and then I learnt a few more and then I got into instruments,” he said. Last Saturday Mr Coulson visited The Australian Institute of Country Music to rehearse with the band he will be singing, and playing guitar and harmonica, with. His grandfather Dr Walden will also be performing at the music festival, a place where he has many fond memories. "I've been involved with the Muster, and particularly young and emerging talent, for about 30 years,” Dr Walden said. Dr. Walden taught and worked in Gympie and developed the community group The Australian Institute of Country Music before retiring and relocating to Gayndah recently to be closer to his family. He has worked with a number of artists who have made names for themselves on the X Factor, including Caitlyn Shadbolt and the Dennis Sisters. "I'm fairly keen to now get some more music happening here,” Dr Walden said.